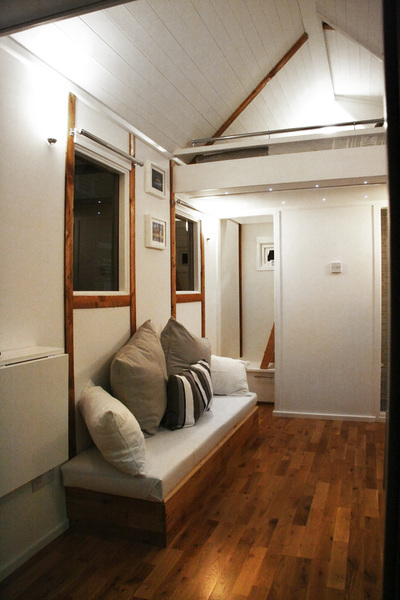 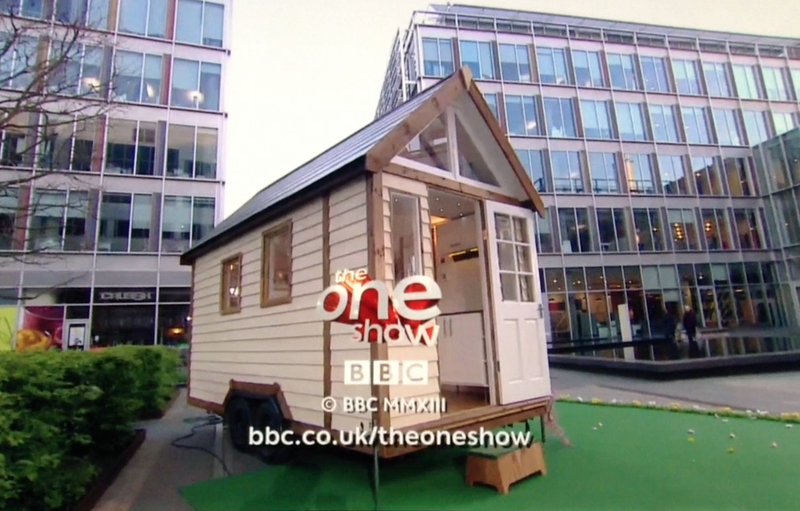 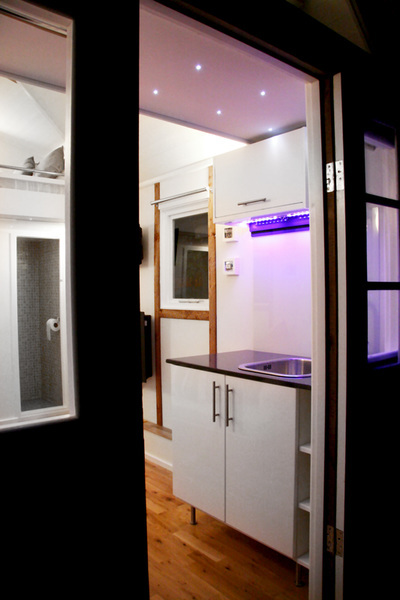 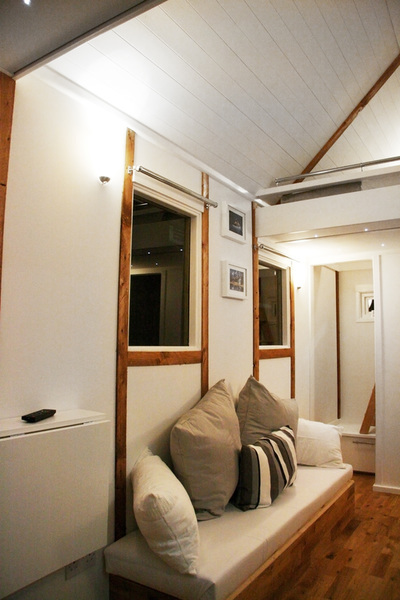 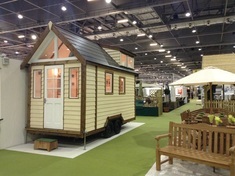 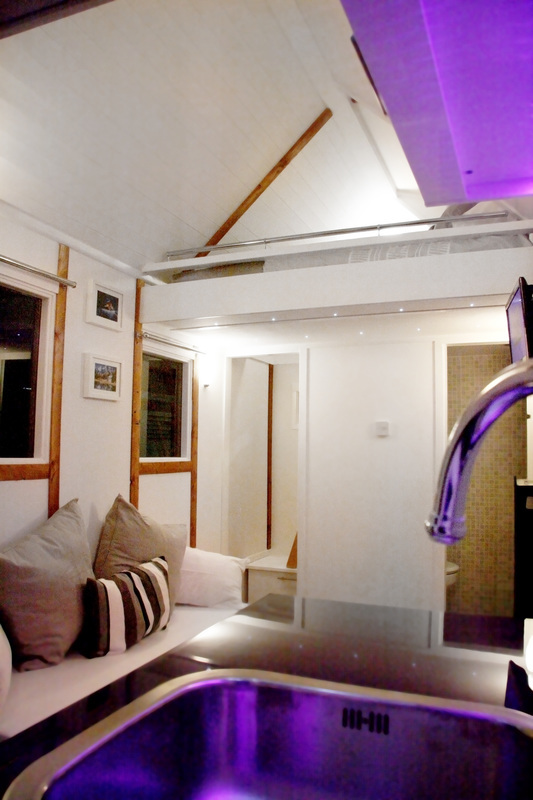 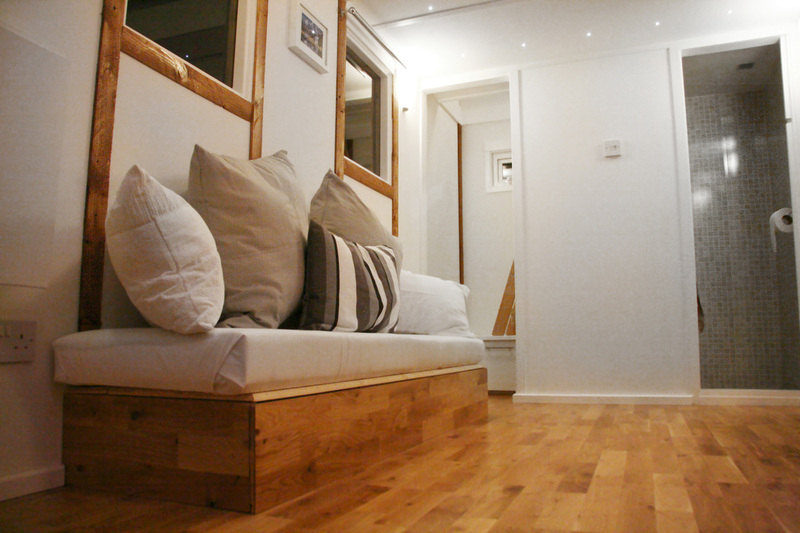 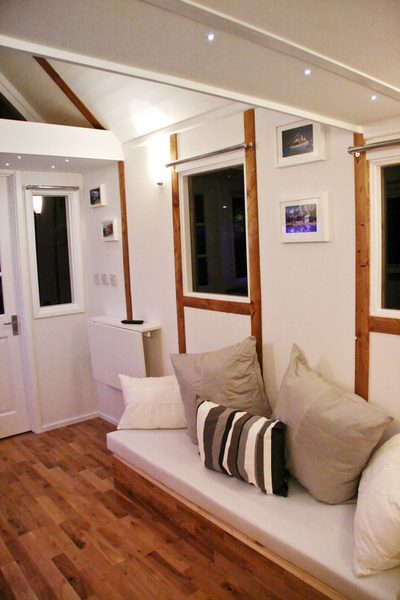 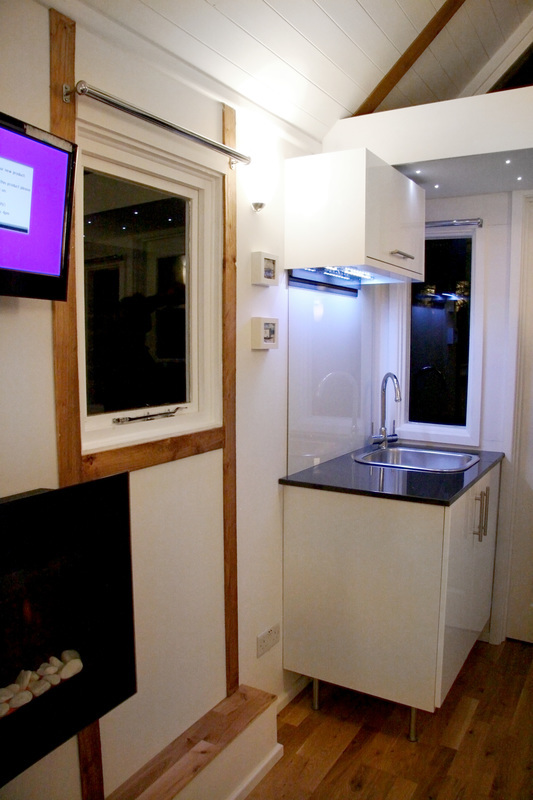 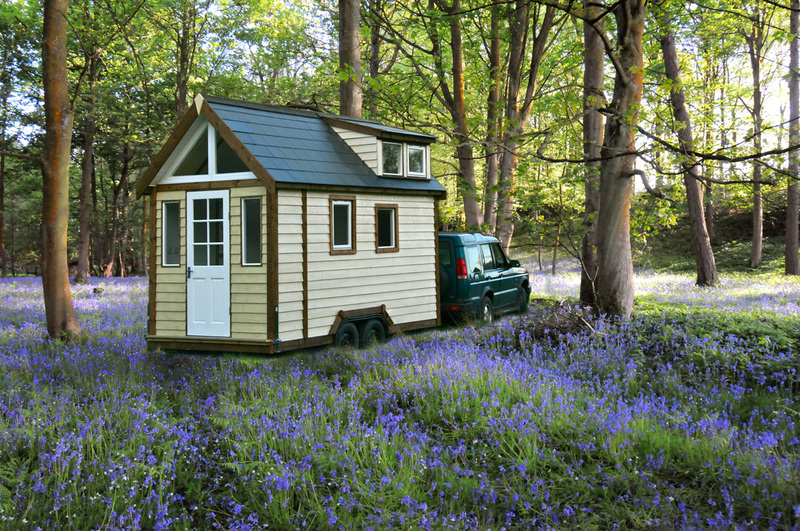 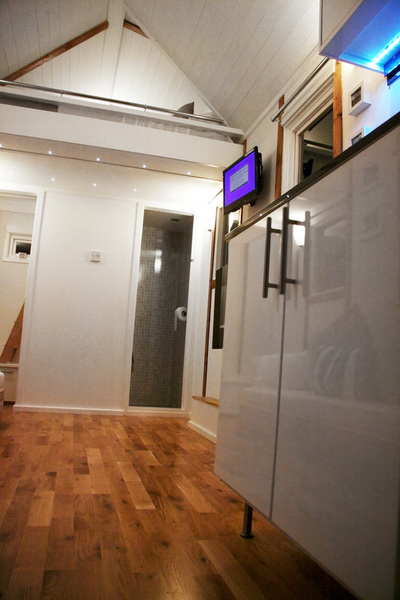 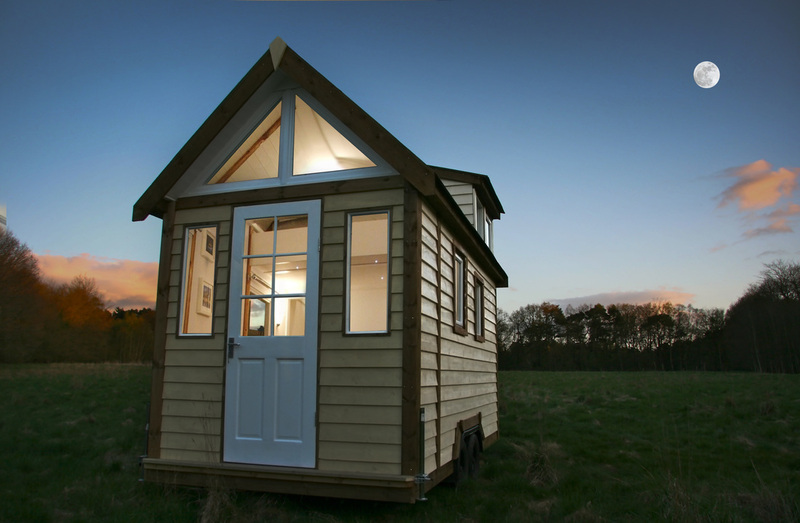 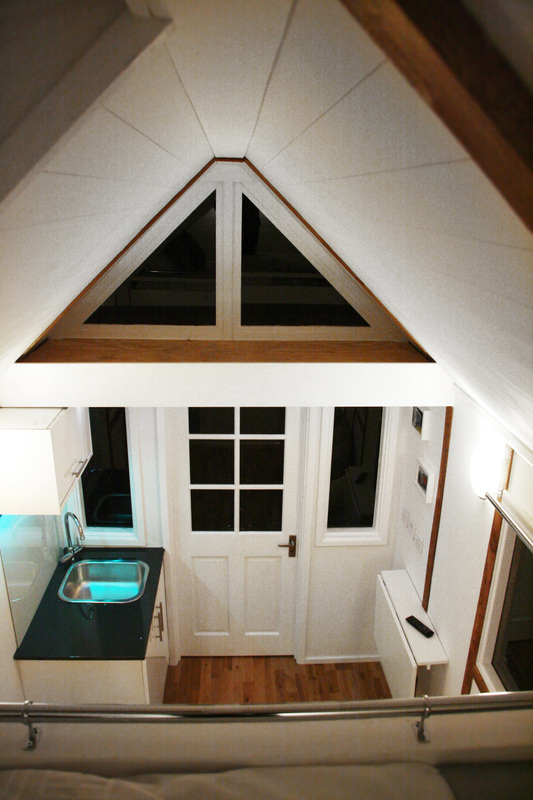 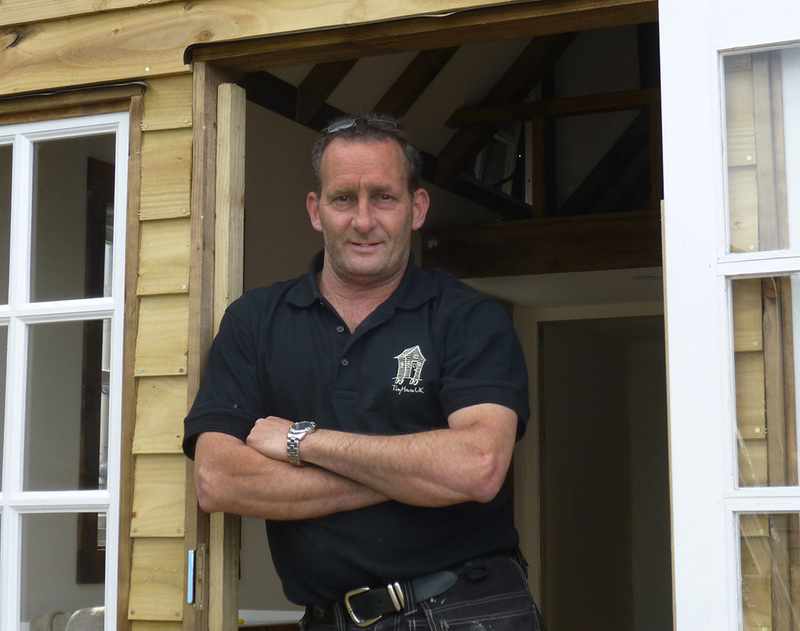 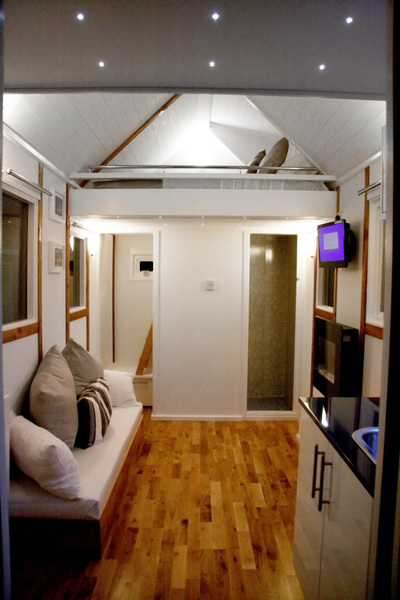 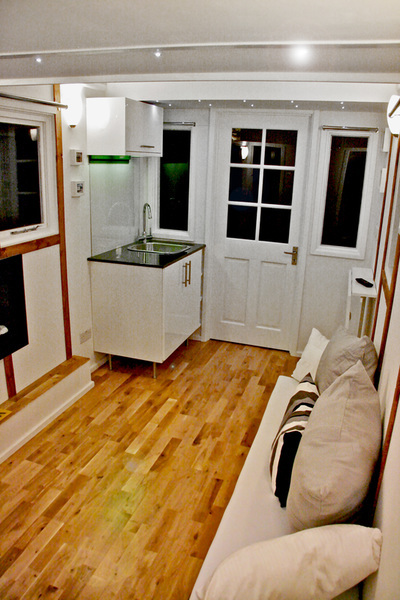 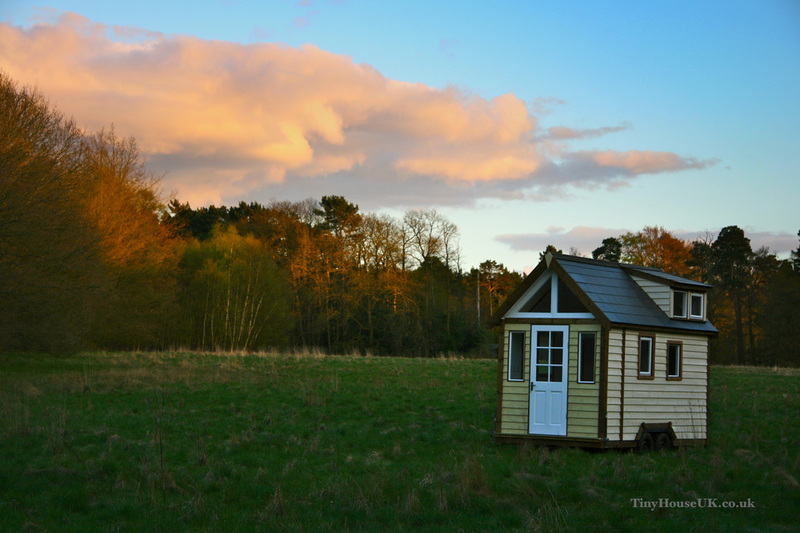 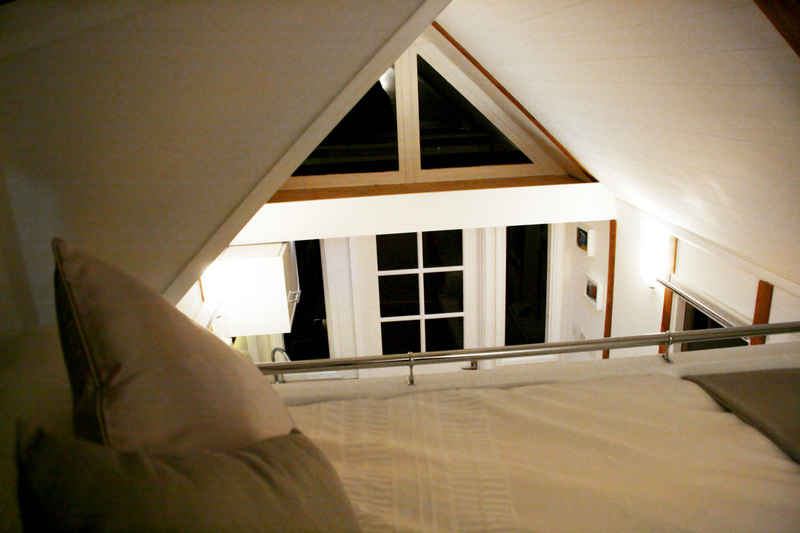 This Tiny House was built as a show home and was also used on BBC's "The One Show" to promote "Grand Designs Live" hosted by Kevin McCloud. It was eventually sold and is parked in the garden of a house in central London and is lived in full time. 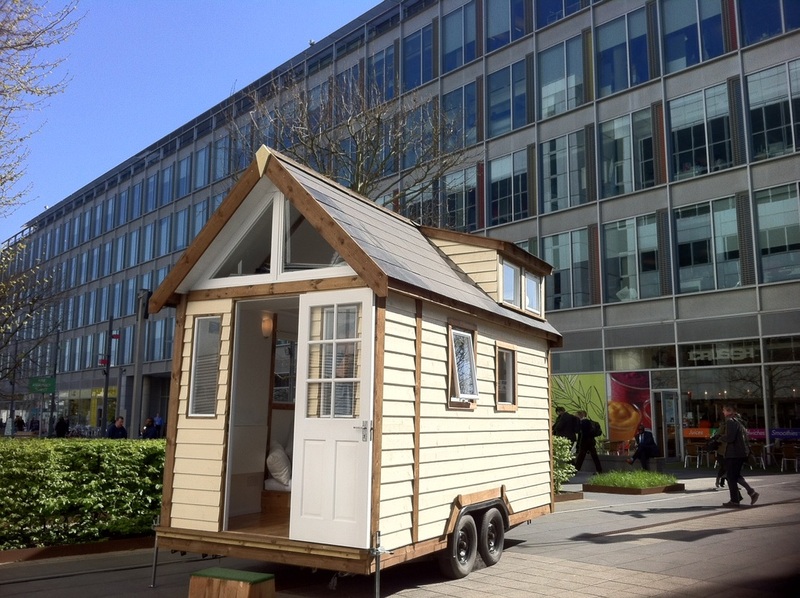 The 3 ton structure had to be craned over a 3 story town house to get it into the garden which was an event in itself. You can see The One Show clip below.